"Best Indie Adult Fiction Award "
" In mulling over my own history and conducting some literature searches, I found no fiction dealing explicitly with the so-called “Silent Generation” ... following the lives of characters born in the 1930s and early 1940s... ."
"This is a saga of several lives born in the time period associated with America’s so-called 'silent generation' (roughly 1926-1945, depending on the author). I do not, however, buy into generational stereotypes. 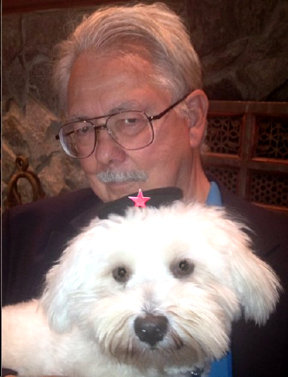 In fact, breaking those stereotypes was partly the motivation of my novel." 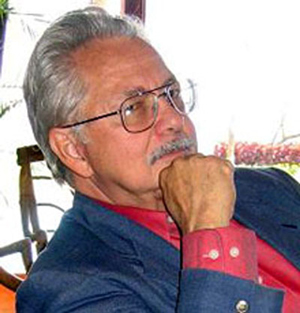 In our conversation with award-winning Sharp, he noted that the “Silents,” despite their name, invented rock and roll, filled the streets in the struggle for racial equality, bled in the heated conflicts of the cold war and opened the doors to the sexual revolution and feminism. SAGE: Thanks for joining us today. It's wonderful to connect with an award-winning author we have been excited about from the get-go! 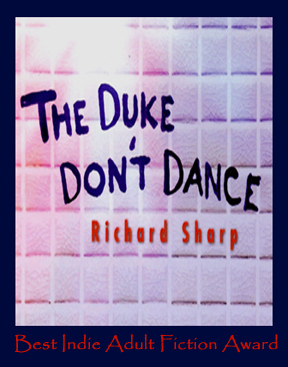 Congratulations on your Best Indie Adult Ficiton of 2013 Award for The Duke Don't Dance. Tell us- what's the title about? SHARP: The title, The Duke Don't Dance, refers to a line of graffiti encountered by the protagonists.At first speculating that "the Duke" written on the wall refers to John Wayne, Duke Ellington, Duke Snyder or other Dukes of the day, they finally agree to consider it prophetic. No duke, such as used biblically to represent a lord of good or evil, will save their generation. "No, they must dance for themselves." What exactly is the Silent Generation? Well, like most of my cohorts, I was, at most, only vaguely aware of the term until the recent spate of books dealing with generational identities.The label "Silent Generation" was first coined in a 1951 Time cover article on the younger adults in the 1950s and reinforced by William Manchester’s pejorative characterization of them as "withdrawn, cautious, unimaginative, indifferent, unadventurous and silent." This could be dismissed as merely loose elder griping about the “younger generation” until some decided to make it a label for those born in a defined time period, which became those born between 1925-27 and 1942-45, depending on the writer. So you don’t agree with the term Silent Generation? The translation from grousing about the prevailing social atmosphere of the fifties to the description of those born in a specific period made little sense. The despised “man in the gray flannel suit” of the fifties was more likely a returned veteran of World War II than a member of the age bracket the term “silent” was applied to. Like many of “Silents,” I was still doing (or not doing) my homework in the 1950s, while my older sisters were perhaps serving him coffee. It also was a very transitional time, and the same individuals who were conservative in the fifties were often the activists and radicals of the sixties. So, no, I don’t think it’s appropriate to characterize the lifetime of millions by an insult applied in a brief era. SAGE: Who is your audience for The Duke Don't Dance and/or for whom did you write the book? 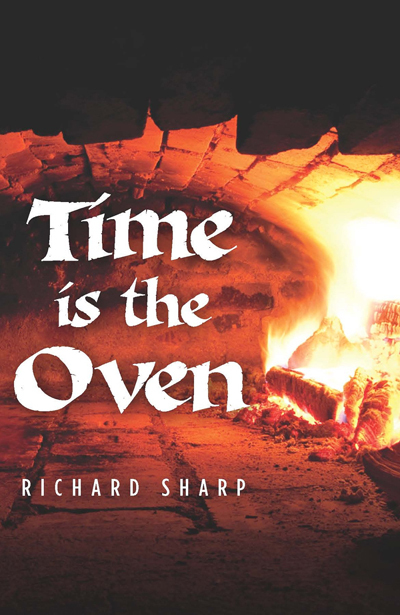 SHARP: It’s written mostly for those who appreciate literary fiction and historical fiction and are open to novels that have some social context and are not purely escapist entertainment. It is not exclusively directed toward Silent Generation readers, but rather to anyone who might be entertained and possibly enlightened by a different take on the post-World War II American milieu. 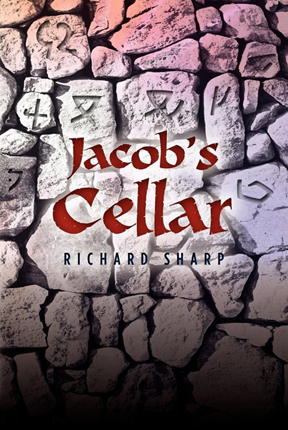 Some of the characters in the book have a bit of an attitude toward preceding and succeeding generations, but a wide age range of readers have accepted that in the good humor in which the novel is written. I'm curious- How did you get interested in writing this particular genre? As noted, I started fiction writing as an avocation by writing two historical novels set in 19th century America. The Duke Don't Dance is also an historical novel except for the technicality that some of us are still alive. I like the discipline of requiring the fictional characters to have to respond to real events. My main literary inspiration was Isabel Allende, who writes so movingly about her characters’ evolution in the context of their changing times. How about research for the book- what do you do before writing? You cannot rely on your own memory even for events you have lived through, as autobiographies often demonstrate, so I consult nonfiction sources extensively on even minor points. In TDDD it was important to me that the story correctly reflected when the Compaq computer came out, when the Vietnam Wall was completed and where the port-a-potties were located at a Beach Boys concert. My work tends to be heavily laden with cultural landmarks and I am grateful for editors and reviewers who catch even minor slips. One of my favorite questions to ask authors is about that " typical working day"- What is it like for you? When and where do you write? I wake up early and turn to writing or related research early and work in concentrated intervals with numerous breaks throughout the day. I change my focus among drafting, editing and research frequently. I can usually find one mode that works for the particular moment in time. What is the most challenging part of writing for you? Impatience with my progress. Writing a novel is a marathon, not a forty yard dash and the hills seem to get higher somewhere around mid-course. Is there a particularly powerful challenge for you when it comes to writing? Technically, I think it is shifting perspectives between protagonists so that they emerge as different personalities. After experimentation with writing in the first person, I switched to third person. However, rather than being the “omniscient narrator,” I want my third person prose to mostly reflect the outlook of the main protagonist in a given situation or that of an identifiable observer at the scene. I’m not always successful, but I want the reader to feel increasingly familiar with each protagonist through both the narration and the direct dialog. What’s the best thing about being an author? For old codgers like me, writing The Duke Don't Dance is an opportunity to shock the young, raise the dead and drive the unsuspecting right out of their heads. My novels are pretty much about the past, an irreverent contribution to social archeology, so I do enjoy feedback from those who have found some preconception shattered or some vague suspicion confirmed. 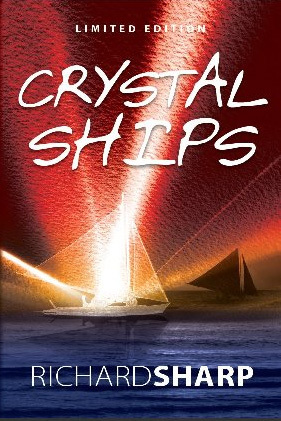 Another contemporary novel entitled, “Crystal Ships,” inspired by an Irish legend and a Doors tune. Speak softly and carry a big ego.